UC Berkeley define the concept of performance management as “an ongoing process of communication between a supervisor and an employee that occurs throughout the year, in support of accomplishing the strategic objectives of the organization” by “clarifying expectations, setting objectives, identifying goals, providing feedback, and reviewing results”. Performance management is vital to ensure that employees and the Company remain on-track in all areas including productivity, behaviour, achieving targets/goals and ensures that employees clearly understand what is expected of them. It ensures that employees understand what is expected of them, and allows employers to ensure that performance is kept at a minimum expected level. Without performance management, standards may slip, potentially resulting in employees being disciplined (or dismissed) and overall quality of service diminishing. In addition, a lack of performance management fails to provide opportunity for an employee’s improvement, recognition or development to be measured. Performance management also assist in linking performance to compensation and recognition. Key Performance Indicators (KPIs) are a type of performance measurement used to evaluate the success of an organisation or a particular activity in which it engages. Examples of where KPIs might be used include achieving sales targets, reaching a minimum level of customer satisfaction or bringing projects in on time. KPIs assit to allow companies to set targets/goals and monitor that these are being achieved. Chosen correctly, KPIs are a useful tool which assist managers in understanding whether an individual employee, department, or the overall organisation are getting the most from the resources available to it. By analysing the information, KPIs can also help to identify areas within the organisation where performance may be lacking. As technology advances, and as analytical software becomes more advanced, KPIs are used increasingly and the development of algorithms allow the data to be scrutinised in more detail. However, it is important to bear in mind that that we should only be collecting data which is relevant to track performance; there is little point in collecting data which will not be used. Performance appraisals allow the performance of an employee to be documented and evaluated. Appraisals have a number of benefits, which include communicating between the employee and management the current goals and any potential issues, promoting trust, re-establishing the organisations goals, increasing performance by reasonably identifying areas for improvement, and identifying areas where training may be required) or could be of benefit to career development). Appraisals may also assist in identifying employees who may be suitable for promotion within an organisation. In most organisations, a performance appraisal may be carried out monthly, quarterly or annually. However, in some other organisations it may be necessary for such appraisals to occur daily or during each project. When I worked in the motor trade, appraisals were monthly. When I worked in the insurance sector they were annual. In my current organisation where the trade is highly regulated (asbestos removal and management), we carry out internal audits as often as practicable and as a manager it is often my responsibility to conduct these audits. Such audits include ensuring that our customer service levels are constantly achieved by reviewing customer satisfaction levels which provide us with an ongoing overview of praise and complaints. This information is obtained directly from the customer who is requested to provide a written appraisal of each job once completed. Although we refer to our own appraisals as audits, they are realistically an appraisal of employees to ensure that they are carrying out their work at the expected regulatory and high standards. In addition, we employ and external company to carry out unannounced site audits of our asbestos removal processes. These audits provide a rigorous, honest appraisal of each site Supervisor and team of Operatives, ensuring that all Health and Safety laws and regulations are adhered to at all times. It also allows us to quickly identify and weak links or issues which may result in us receiving a prohibition from the HSE. As well as the external audits, I occasionally carry out my own unannounced site audits. Our audits are less about finding fault in individuals or team leaders, and instead more focused on ensuring that all concerned understand that they may be scrutinised at any time; thus ensuring they are ‘on the ball’. The Health & Safety Executive can arrive on any site at any time and our own unannounced audits help supervisors to understand if they are making mistakes to prevent them reoccurring in the future: prevention rather than cure! It is important to recognise that appraisals can have some detrimental effects if not carried out correctly. For example, if a manager is uncomfortable in providing negative feedback about an employee, this may result in them over-inflating the employee’s performance in other areas to compensate which will result in an inaccurate review and/or overall grading. It is therefore vital than managers have the correct training and communication skills to be able to adequately present negative feedback to employees. A General Manager, I oversea that standards are adhered to in terms of our ISO:9001 Quality Management Award. My Team are expected to keep records in different areas of information to constantly monitor the service we provide to customers, whilst also monitoring the service we are provided by our suppliers. Our performance is managed by the HSE which reviews our Asbestos Licence at regular intervals to ensure that our staff and the Company consistently meet the strict regulations in the management and removal of asbestos containing materials. Finally, we are also members of various trade organisations which set out acceptable levels of performance, some of which allow customers to provide honest, impartial feedback on our employees. Such organisations include CHAS and Checkatrade. The overriding purpose of such statements is to ensure that all efforts to improve performance (at strategic, operational and individual levels) are pointing in the same direction: so usage should be encouraged. Mentoring and coaching are invaluable tools for any business. They allow more skilled and experienced individuals to pass on their skills and knowledge to those who may not be as experienced in a role, whist guiding their mentees in the correct direction. They can also help to provide less experienced employees with new problem solving skills and ways in which to deal with new situations as they arise. According to a survey by the American Society for Training and Development, 75% of private sector executives said that mentoring had been critical in helping them reach their current position. Mentoring can also provide the mentee with increased confidence, allowing them to develop within the role that they are training for with a more assertive attitude towards their required role. Mentors can also become a valuable point of contact for someone who is training, allows organisations to make better use of their resources (perhaps as opposed to employing more expensive external training companies). Mentors can offer value in identifying where a trainee is making mistakes as (as long as the mentor is adequately trained) quickly explain where mistakes have been made and guide the trainee on to the correct path; preventing time wasting for all concerned. Mentoring also assist the trainee in learning about a role, based around an organisation’s goals or expected standards. It allows a trainee to be educated in a specific way which aims towards the organisation, not just in a “generic” capability. to recognise and praise top performers. Communication of feedback to employees, whether negative or positive, can help establish stronger bonds between employees, if it is provided in a well presented and positive nature. Providing information clearly and concisely can assist employees in understands the targets that they are expected to achieve and, if presented correctly, provide a visual aid for employees to monitor their own progress. Effectively communicating performance results can help to establish clear expectations, which in turn can help to motivate employees. Recognising achievement in the workplace helps foster engagement, increases productivity, and reduces tension in the work environment. Leading a team can often be a challenging task let alone ensuring all staff are engaged. It can also help to make staff feel valued whilst helping to build bonds between managers and juniors. 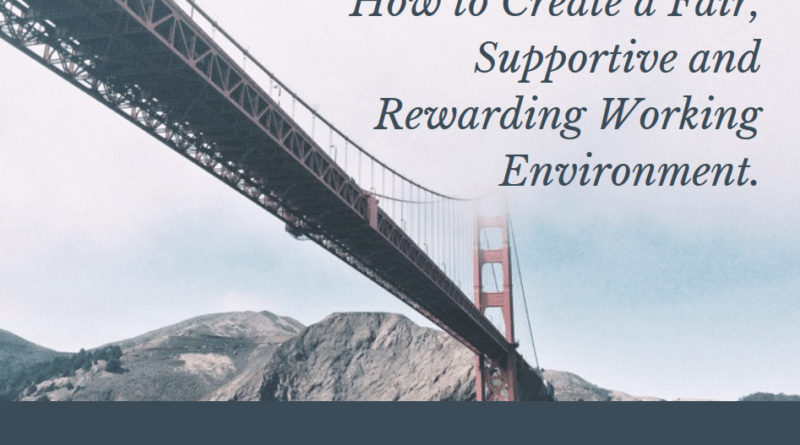 Recognising achievement helps employees understand if they have achieved goals and may result in them working harder to achieve targets through incentives. It can also to being out those ‘hidden talents’ that many employees may have. As well as the more obvious effects that recognising achievement brings, it can also help to retain employees. Employees who feel valued as much more likely to be loyal to an organisation as well as being more enthusiastic when dealing with customers or representing the company outside of working hours. We can collect qualitative information to evaluate staff wellbeing on areas such as absenteeism, staff turnover, accident records, overtime, attendance, retention, working hours, productivity, job satisfaction, innovative suggestions, staff exit interviews and staff surveys. Qualitative data is information recorded in more than just numbers – in involves a more complex record of information. For example, data on staff absenteeism may need to record the reasons for the time away from work. Is there a pattern occurring with an individual or within a team which may point to a problem with stress or illness? Staff turnover and retention can also be measured using qualitative data. Employee turnover refers to the proportion of employees who leave an organisation over a set period (often on a year-on-year basis), expressed as a percentage of total workforce numbers but the percentage doesn’t tell us why the turnover rate is as it is. To really understand the cause of the figure, managers need to gather further information from employees in terms of their satisfaction, perhaps by requesting staff surveys are completed or conducting exit interviews. This can help us gather a better understanding of the reasons for staff leaving the company. Is there a problem with a particular member of staff? Are working conditions unacceptable? Are workloads resulting in high stress levels? Are staff feeling undervalued and underpaid compared to competitors in the same industry? In many cases, the information collected will need to have a human aspect to it, perhaps in areas that KPIs and algorithms are unable to adjust to make allowances for a more personal aspect. Producing and reviewing quantitative and qualitative reports can prove time consuming and expensive. However, compiling detailed performance reports, and keeping them on file, protects your business from legal disputes with former employees. Additionally, some businesses might be able to cut costs after addressing long-standing production issues that only come to light in performance reports. There are a number of areas in which employee development can be incentivised. Staff training incentives such providing a financial bonus for achieving a level of expertise, or perhaps a gift or promotion, is used widely across business. Used correctly, such incentives allow employees to work towards a set target, and by performing at their best, achieve an incentive as a reward. “Incentives should be used not to drive behavior but instead to provide recognition and to share the company’s success with its employees,” said Professor Pfeffer. The important phrase in Professor Pfeffer’s comment for me is to “share in the company’s success”. It is important that we engage our staff with the right inventives to engage them, in turn improving their own development and in turn the best of the company. A work-life balance is arguably of the of most spoken about areas of staff wellbeing in today’s modern era and technology now makes it as easy as it has ever been for employees to spend more quality time at home whilst still being a productive member of an organisation. It can certainly be an incentive for employees to have the option to work from home or be given the trust to work more flexible working hours. Working from home, for example, is now seen as a style of work which more employers are prepared to offer to their staff where a role allows. As someone who worked from home for 8 years, I am very experienced how home-working can help to keep a work-life balance healthy, which in turn can assist employees in their own wellbeing. Often, time spent commuting to and from work is considered as “wasted” time for many employees as it is difficult to work on a train or in the car and communication in some forms such as telephone conversations are almost impossible. Working from home allows an employee to take more control over the times they work during the week and also allowed me to build my working weeks around my family obligations. Giving employees the incentive to work more from home, or providing more flexible working hours, can be seen as a bonus to take more control over their work-life balance but it also involves a large element of trust between the employer and employee. Therefore, this may not be suited to people who struggle with self-motivation or planning. This incentivised style of working may also not be suitable for personnel who thrive on a more social, group rated type of role. Of course, these schemes are generally not going to be achievable for small businesses due to the short term-high cost, but the research conducted by the NHS does suggest that there is a large amount of money to be saves in the long term in staff absences. The NHS have also urged private companies to introduce a range of physical activity schemes for staff, reduce sedentary behaviours or subsidise employees’ memberships of gyms or fitness clubs. As discussed in section 2.1, mental health in an issue which can have a huge impact on an employee’s wellbeing and although mental health is more acceptable to speak about today, it is still misunderstood or ignored by many employers. As in physical health, there are a number of methods which employees to can put into place to incentivise employees to seek help if they feel they are struggling with stress, depression or any other mental health issues. This may include providing free-of-charge access to occupational health professionals and understanding /implementing the NICE Health and Wellbeing at work guidelines. A learning and innovation culture in the workplace helps to develop employees and the organisation as a whole through ongoing learning rather than just acquiring a set of skills and then preventing the employee (and so the company) from developing further. Encouraging innovation means that the company will strive to look for new ideas and encourages growth. A learning culture is recognised by many companies as a vital part of the organisations development in strengthening employee’s knowledge and experience. As a member of the Scout Association, ongoing learning is an expectation of all Leaders within the organisation and is something I have had a great deal of experience. In fact, if a Leader fails to adopt the program of ongoing learning they can have their Leadership Warrant removed. This is because our needs as Leaders are constantly changing, so to do a good job for our young people it’s important that we are always learning and refining our skills. The same applies to almost every organisation as without the ability to learn, refine and think of new ideas, an organisation of any size can quickly be left behind the competition. Perhaps an obvious example of learning and innovation increasingly performance of organisations is that of the ‘discount’ supermarkets Aldi and Lidl. In 2015, Aldi and Lidl achieved growth of 17.3% and 16%, respectively compared to the market leaders, Tesco, Asda and Sainsbury’s who all suffered losses. Aldi and Lidl had a different plan for the UK and went against the grain and when the financial crash occurred they were ready to pounce. Their plan was a shopping experience was based on constantly low cost quality products. Learning from their experience in Germany and other EU countries, they kept their overheads low by removing elaborate, expensive large superstores (at a time when the market leads were investing millions in such stores) and instead focusing on smaller, more local branches. They also threw away the idea of loyalty cards, ‘buy one get one free’ offers and other sales gimmicks. It could be argued that there was nothing innovative about getting rid of the marketing ideas that had helped to grow companies such as Tesco, Morrison’s and Asda, but it was nevertheless a risky plan: customers had become loyal to their brands and their supermarkets. Needless to say this back to basics approach worked and by utilising clever marketing, the companies have managed to change the consumer’s attitudes from brand loyalty and instead focus consumers on constantly low prices. I would argue that it was innovative to focus on a shopping experience which none of the larger brands either considered or were prepared to risk – and it worked. In my own organisation, there is limited scope of innovation when it comes to the highly regulated activity of asbestos removal as the processes for managing and removing these materials is defined by the HSE. That said, we are constantly looking to make our services more clearly explained to potential customers, especially private individuals. Although we may not be able to innovate in the management of asbestos we can innovate and learn about the way in which we present ourselves to the commercial and private sector. We are constantly developing our website to make it as clear as possible in an industry which has a history of being evasive about the processes involved in managing asbestos safely. In addition, we provide services that other companies don’t such as an opportunity to get price-specific quotations based on a postcode area. We are the only company which advertises our prices clearly on our advertising, and we are regularly commended by customers for our plain-speaking approach. We encourage our employees to avoid jargon as much as possible when dealing with customers (who may know nothing about asbestos). These are some of the examples which, though our different approach, have helped to see our turnover increase 20% from 2014-2015 and 2016 looks to be just as successful.